Chabad is working tirelessly in the disaster-stricken areas of Japan, handing out free hot food and raising funds for victims. 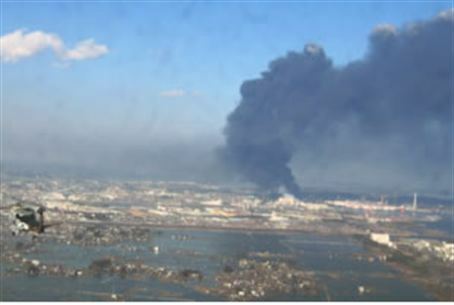 Chabad rabbis in Japan are continuing to help the victims of the earthquake and tsunami in the Sendai region. The representatives have been busy distributing food items to those who have remained homeless following the strong earthquake and subsequent tsunami which hit northern Japan on March 11. Rabbanit Efrat Edery, wife of Rabbi Binyamin Edery, a Chabad rabbi in Tokyo told Arutz Sheva’s Hebrew website on Thursday that the representatives received a very warm welcome by the Japanese locals. Rabbanit Edery said that the locals are finding it very difficult to believe that the food is being distributed for free. The worldwide Chabad-Lubavitch movement and the American Jewish Joint Distribution Committee were deeply involved from the very first moment in the Jewish community's response to the natural disaster in Japan. Chabad-Lubavitch of Asia, under director Rabbi Mordechai Avtzon in Hong Kong, has organized shipments of tons of basic supplies for the people of Sendai, including rice, water, bread, gas canisters, instant soups and blankets. The IDF is also assisting in the relief efforts in Japan, having sent a medical team which set up an emergency clinic in the areas stricken by the disaster. This week, the medical team treated a sick 11-month baby girl who lost her home in the disaster. The girl was brought on Wednesday by her grandmother to the IDF clinic and was treated for an eye infection by the clinic's doctors.